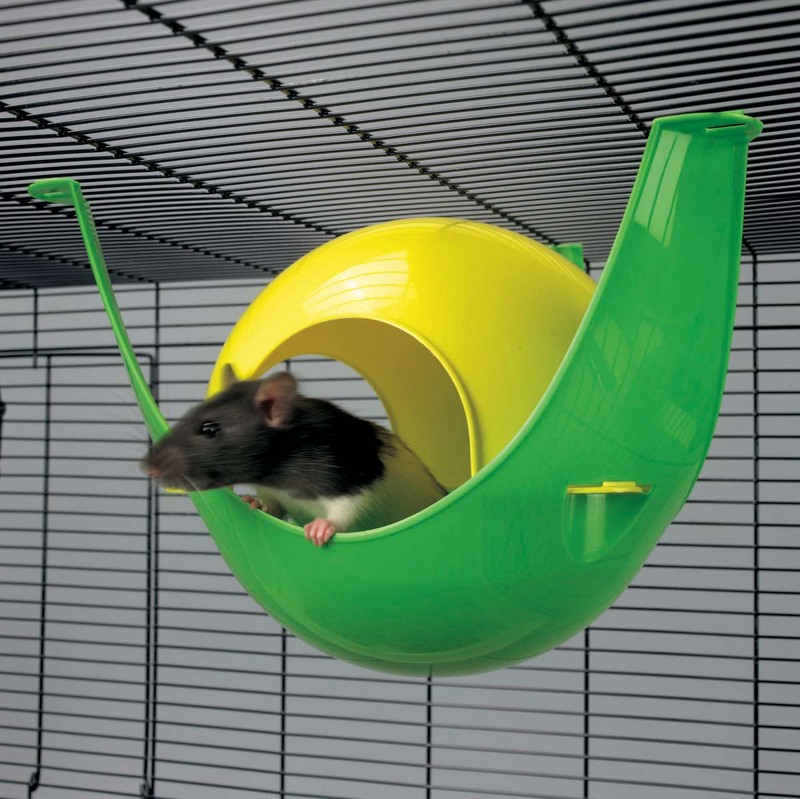 This Sputnik House by Savic is a small animal home for mice, dwarf hamsters, hamsters and gerbils. Now also available is a house suitable for rats. It can either be put on the floor of the cage or hung up on the bars. Supplied in randomly allocated colours. 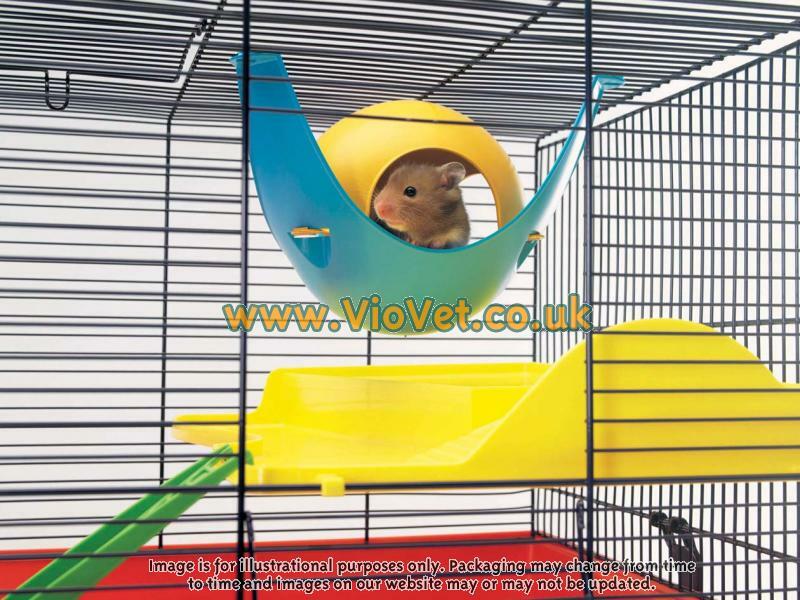 Below are some recent questions we've received regarding Savic Sputnik Small Animal House, including answers from our team. What is the diameter (in centimetres) of the opening holes? Hamster » 22 x 22 x 13cm - 2" in length and 2.5 in width. Rat » 29 x 26 x 19cm - 3" in length and 3.5 in width.